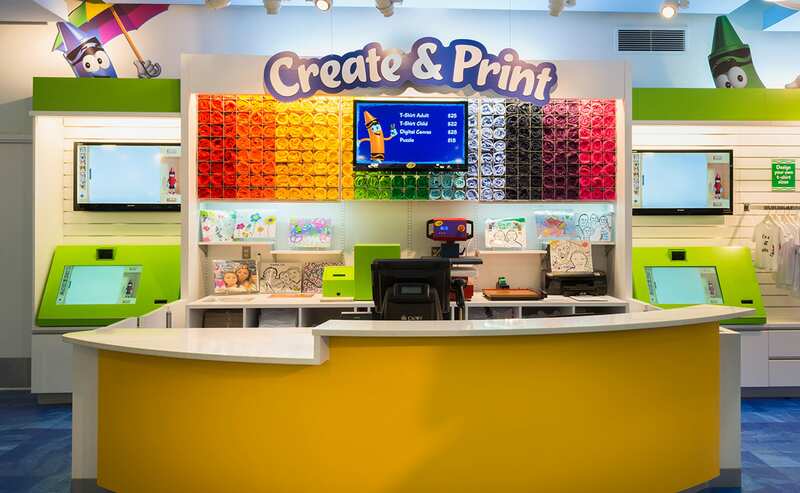 Creating a retail store as an extension of the Crayola Experience meant bringing together the expertise of our industrial, graphic, and interior designers to craft a way for families to connect through the joy created by a box of crayons. 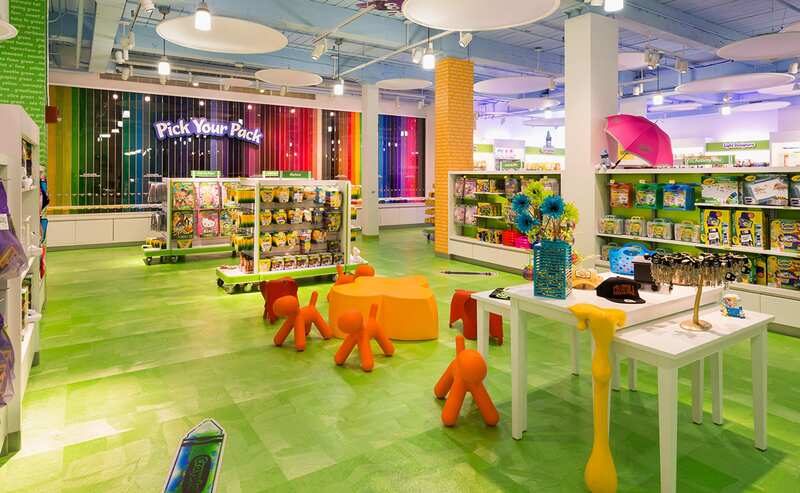 The store experience begins and ends with a crayon. Taking guests on an adventure of exploration, engagement and discovery, mischievous crayon characters lead to moments of interaction and surprise. At the end of the journey, guests leave with an emotional keepsake commemorating their adventure with a crayon. 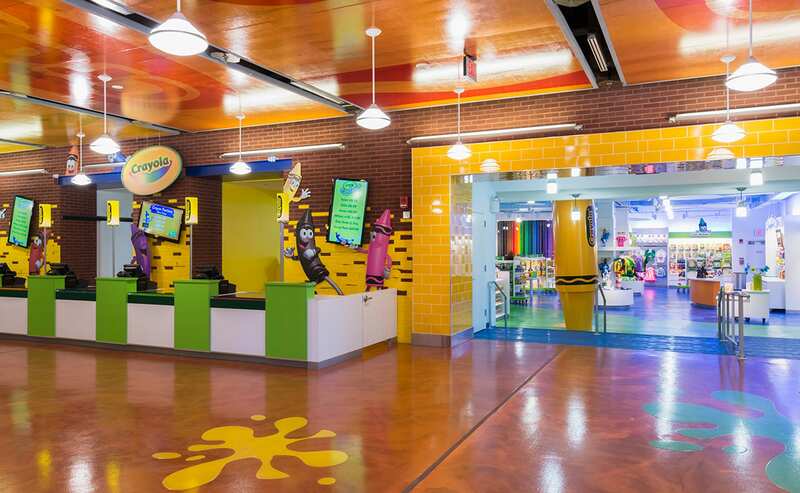 Designing an experience around engagement led to the development of the Pick Your Pack wall – a visually impactful wall with bins of crayons and markers. 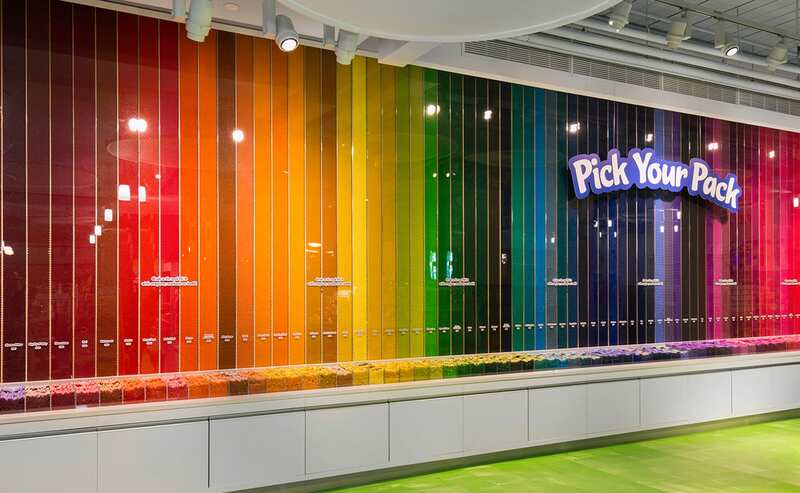 Whether someone loves a particular crayon for its color or the name, the Pick-Your-Pack wall offers the opportunity to build their ideal box of crayons.